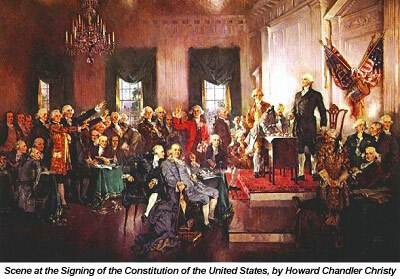 Like almost all Americans, I grew up believing in the Constitution–every bit of it. But having chosen American politics as my primary passion in life, over decades of daily thinking about the issues that confronted the nation, I gradually began to see that parts of the system were no longer working very well, that the day-to-day, incremental political process was inadequate to fix the root causes of the system’s dysfunction. In this, I was encouraged by the bright young people in my classrooms, who asked good questions, pointed out wrongs that needed righting, and were unwilling to accept “that’s how we’ve always done it” as the final, correct answer. The Constitution’s brilliance and originality have inspired millions around the globe to seek a better society where they live. Much of the Constitution’s superstructure needs no fundamental fix, including the separation of powers into three branches, the system of checks and balances (with a few exceptions), and the Bill of Rights. The fault is not with these basics, and it’s important to stress one fundamental truth from the outset: the framers of the Constitution did not fail us. Our forefathers designed the best possible system that could be achieved at that moment in time. Bit by bit, in response to superb student critiques as well as my own–and the public’s–growing doubts, I began to construct an alternate universe for parts of the American system. The ideas comprising this universe are at the heart of this new book, A More Perfect Constitution: 23 Proposals to Revitalize our Constitution and Make America a Fairer Country. The following is an adaptation of the first chapter from A More Perfect Constitution, that I prepared especially for the Crystal Ball and provide exclusively to you, our dear readers. For more information on the book, the ideas, an opportunity to offer comments and even a forum for suggesting your 24th idea for change, visit amoreperfectconstitution.com. It’s not hard to discern how most Americans look at Congress. Whether in public opinion polls or person-in-the-street interviews, citizens regard the national legislators the way they would disliked relatives: They know they have to live with them, but they hope to have as little contact as possible. Can Congress blame us for feeling this way? Year after year, the Congress seems hopelessly deadlocked on issues of immediate concern to the country. Instead of seeing positive action, Americans witness headline after headline of congressional corruption. Some is old-style sleaze–bribery, influence-peddling, and personal scandals reflecting ancient vices–that reeks of a sense of entitlement. Other congressional fraud reflects modern forms of dishonesty. It’s wrong and cynical to dismiss all of this as the inevitable consequence of the corrupting power of, well, power. What we have not focused on enough is the effect that the rules and structures of the American constitutional system have in encouraging the corruption. The reasons for the public’s semi-permanent disaffection with Congress are all too clear. No committee of 535 can act with dispatch or appear especially organized; even with strong legislative leadership, Congress is composed of independently elected members, each of whom has a sizable ego. The division of the legislature into two separate bodies, House and Senate, creates more disunity and contributes to the chaotic image Congress frequently projects. While acknowledging the justification for much of the criticism, we also ought to note that Congress works much as the founders intended. The legislative branch was and is designed to be the “inefficient” element of the federal government, slowing the “efficient” branch, the presidency. The chief executive by nature desires everything to be done immediately, and his way. The Congress slows down the president’s policies, forcing them through the prism of the nation’s diversity of opinions, groups, and interests. After all, Congress comes much closer than the president or the judiciary to mirroring the country’s richness of talent–by gender, race, religion, background, occupation, and ideology. No one should ever tamper with these aspects of legislative representation, except to strengthen them. Toward this end, I propose to build upon the founders’ congressional model in several ways. First, we need a more representative U.S. Senate that better fits the massively increased population of twenty-first-century America, with a new category of senator whose job is to advocate for the national interest first, rather than the needs of individual states. Second, the election schedules and term lengths for both the U.S. House of Representatives and the Senate need to be realigned, so that there is a better chance the diversity of Congress can be harnessed for constructive cooperation with the executive–in the interests of sound public policy to serve the people. Third, the House needs reforming, because, extreme partisan redistricting has virtually drained the lifeblood of vigorous competition in elections. It is time for a new era of real choice in House campaigns, so that the House can resume its position as the federal body closest to the current thinking of the American people. Further, the founders’ idea of expanding the House along with population growth should be renewed, so that each member of Congress can represent a smaller constituency and have personal ties to more citizens. Taken as a whole, this reform agenda can reinvigorate not just the Congress but American government and politics overall. Finally, a couple of additional constitutional amendments can make Congress more responsible in fiscal matters (via a balanced budget mandate) and more secure in a dangerous era. The latter is an unnerving but necessary addition to the new Constitution: a Continuity of Government provision in case Congress should be the victim of a terrorist attack or other calamity. While the current Constitution includes a detailed plan for presidential succession, there is no such plan for the legislative branch. There ought to be; the frightening age in which we live demands it. Two principles embraced by the founders about the Senate are worth preserving. Fundamentally, the Senate represents semi-sovereign states, and despite all the changes wrought by time and technology over the centuries, most Americans still identify with and have great devotion to their individual state. Yes, we are all Americans, but we are also New Yorkers, Floridians, Iowans, Utahns, Oregonians, and all the rest. We’re proud of our state, learn about its heritage throughout life, and even if we live in many states over the course of our lifetimes, we adopt each one as part of us–and hope they adopt us. Woe to the researcher or journalist who believes that all states are basically the same, or that a homogenization of state cultures has occurred as the world has shrunk. The second principle was equally dear to the founders. They insisted that the structure of the Senate should protect minority rights from the “tyranny of the majority,” or “mob-ocracy.” The United States was to be a republic, a representative democracy, not a pure democracy run by 50 percent plus one of its residents. Among the institutions protecting the Republic is the Senate, originally appointed by the state legislatures rather than elected by the populace. The House of Representatives would be responsive to evershifting popular majorities, yet nothing would become law without the acquiescence of the Senate, meaning at least a majority of those representing the various states had to agree. The key to keep in mind is that under the Constitution’s bicameral system for the legislature, nothing passes without Senate assent. Therefore, the Congress has a one-house veto on legislation, and to control the Senate is to control the legislative outcome, and indeed much of what the federal government actually does. James Madison foresaw this dilemma, and he vigorously argued, during the Constitutional Convention, for proportional representation by population in the Senate, not just the House. Madison’s fears have been validated as the gap between small and large states has grown to the point that states with fifty-one times the population as others have the same representation. So how can the animating principles of the Senate be preserved while making the institution fairer to all the people, whether they live in big, medium, or small states? The Senate needs an adjustment that is both simple and potentially acceptable to most small states–in part, because some of them are growing by leaps and bounds, and they will one day benefit from the change. We should give the ten largest states two more Senate seats each, with the next fifteen largest states gaining one additional seat. The twenty-five states with the smallest populations would not forfeit any representation and keep their current two Senate seats. As with seats in the House of Representatives, the Senate seats would be reapportioned among the states, according to this formula, every ten years after the census assesses population changes. From decade to decade, for example, a state might move into the list of the ten largest states and thus be awarded an extra senator; the state dropped from that exclusive list would lose a senator. The new Senate, then, would consist of 135 members. This change has an additional advantage. With the population of the United States having expanded dramatically (by almost two thirds, in fact) since the current 100-member Senate was established in 1960, the 35 additional senators can assist in meeting the needs of millions of new Americans in their large states. And the cost to the Treasury is relatively little. The smaller states in the new Senate would, individually and collectively, retain plenty of clout. The difference is that the distorted, decidedly unfair world where the Lilliputians rule the Giants would be dissolved. Finally, the deplorable situation concerning the District of Columbia could more easily be addressed under the proposed Senate regime. This Republic was founded on the principle of “no taxation without representation,” yet District residents, numbering about 550,000–more than the population of Wyoming–currently have no representation in the U.S. Senate (and only a nonvoting delegate in the U.S. House). While the residents have no voting representation in the federal legislature, Congress unilaterally sets many of the city’s policies and manages its affairs, which is certainly not the ideal situation in a democracy. At the moment, there is little chance D.C. will be given voting representation in the Senate, in part because the population of the District, which is more than 80 percent Democratic, would almost automatically elect two Democratic senators. However, the addition of one or two senators to join 135 others would not be nearly as likely to upset the party applecart in the Senate as the addition of two senators in a 100-member body. As the hotly contested 2006 midterm elections for Congress unfolded, Americans across the nation looked forward to going to their polling places to register their views on Iraq, the economy, and other pressing matters. Imagine the disappointment, perhaps even disgust, that millions of voters felt when they arrived at the polls on election day. In fifty-five House districts across the country, there was no realistic choice. The opposition party had not even bothered to nominate a candidate and give people a choice. In a whopping 263 other districts, the competition was minimal, with an unknown, under-funded challenger listed on the ballot in opposition to the incumbent, who received more than 60 percent of the vote in the end. To some degree, this was the fault of the political parties. Yet the real culprit–the true cause of the parties’ inability to recruit and fund good challengers to the incumbent members of Congress–was the corrupt system of redistricting, the redrawing of district boundaries that occurs after each decennial census. This political surgery, which concentrates partisans from just one party in a district in order to guarantee the election of the party’s nominee, has nearly snuffed out the competition in dozens and dozens of districts across the nation. The founders had great affection for the U.S. House of Representatives and wanted it to be a reliable barometer of popular sentiment, produced by open and competitive elections, with all its members elected every two years. (The number of members was far smaller in their day, but in our time the House has 435 voting members). How sad the founders would be to see the ultra-stable, uncompetitive House of professional politicians that exists today. In 2004 just twenty-two races for U.S. representative in the country were decided by fewer than ten percentage points, and in 2006–supposedly a highly competitive year–only sixty-one contests fell into that category. House members would have you believe that this is because of their popularity and competence compared to days of yore. More neutral observers understand well the real reasons. In 2004, just to cite one recent election year, incumbent U.S. representatives spent a total of $428 million, compared to just $23 million for all challengers combined–a crushing ratio of 19 to 1. Yet most devastating of all to non-incumbents is the incumbent-friendly pattern of redistricting, usually conducted after the census every ten years and now supplemented in a few states (such as Texas and Georgia) by re-redistricting in mid-decade when power shifts and one political party gains the upper hand in the governorship and the state legislature. It all boils down to this: Geography is destiny in politics. Incumbent representatives, the political parties, and their state legislative supporters have embraced that elementary principle with both arms, and in so doing, they have squeezed the life out of political competition in most states. Both parties are guilty, of course. Just six states now leave redistricting entirely to balanced or nonpartisan commissions (where judges or other less partisanly interested individuals draw the district lines), and all six are small to medium-size states. Two other states, Iowa and Arizona, have chosen another route: relatively nonpartisan forms of redistricting that build in competition rather than smother it. This state of affairs should not be surprising. Incumbent politicians and the dominant political party in most states will never permit their system to go in the Iowa or Arizona direction. That is why the Constitution itself must call for universal nonpartisan redistricting. The states should be given a choice of methods, including redistricting by a panel of retired judges or an independent citizens commission–carefully balanced to prevent control by any party. With the necessary allowances for drawing required racial and ethnic minority districts, the guiding principles of the new regime of constitutional redistricting would be compactness in the districts, increased partisan competition, and the needs of voters rather than politicians. Compactness means that a district will not meander around a state for partisan purposes, as was the case in the original “Gerry” gerrymander as well as hundreds of districts today. Many observers over the decades have argued that increased compactness will usually directly conflict with augmented minority representation. But to the contrary, path-breaking new research suggests we can have our cake (minority representation) and eat it too (compactness)–that compactness can actually have a major positive effect on the process of redistricting without costing minority representation. The goal of increased partisan competition ought to require that, within the demands of compactness, we should create as many two-party competitive districts as possible. This is what Iowa tries to do, quite successfully. Why is this so important? If there is a national swing of just two or three percentage points in the overall House vote from one party to the other in successive elections, then many dozens of seats might switch hands to the more politically successful party, empowering the people to send their electoral messages. At present, a swing of 2 or 3 percent would produce only a handful of party turnovers, in all probability, so that the voters are cheated of their opportunity to affect the governmental policies that affect them. Most of the reforms advocated in this book are primarily structural, without a clear leaning to left or right. Others might be considered liberal or progressive, with a few falling squarely in the middle of the road. Yet constructive constitutional change can and must come in all ideological hues. No one philosophy has a monopoly on good ideas, and if a package of amendments is to be ratified–given the extraordinary majorities required for adoption in Congress and the states–there must be backing across the mainstream political continuum. The following proposals, originated mainly by conservatives, ought to be given serious consideration for inclusion in the new Constitution: expanding the size of the U.S. House, term limits for national legislators, and a balanced budget amendment. The first of these ideas will surprise many. Why would an increase in the size of the U.S. House of Representatives be considered conservative–or be regarded a good thing? As is frequently the case, we need to go back to the Constitutional Convention of 1787. There is every indication that the founders believed the House would grow with the population. At the same time, they no doubt understood that there was some undefined limit to that growth in the House. Let’s return to the first House of 65 members. With a U.S. population of about 3.9 million, each House member represented approximately 60,000 individuals. By 1860 a larger House of 183 members represented on average about 100,000 people each. After the 1910 census, the size of the House peaked at 435, with each member representing 213,000. Today, each member of the lower house of Congress represents 690,000! If the new Constitutional Convention were to tackle this issue, it would be vital not to go from one extreme to the other. Based on the original constitutional minimum district size of 30,000 people per House member, we would have a House of 10,000! Some conservatives have argued for a House of 2,000 up to more than 9,000, but more reasonable is the conservative commentator George Will’s suggestion of a 1,000-member House. It may seem counterintuitive that conservative pundits would want to expand this part of government, but the key is in the follow-through. By increasing the size of the House, the influence of most members is thus severely limited. Resources per member, such as personal staff and office space, should also be proportionately reduced. A larger House would produce much smaller constituencies of 300,000 people or so, permitting representatives to stay in touch with a larger proportion of their districts and also allowing for the election of a more diverse group of representatives. More ethnic, social, racial, and religious groups might well have majorities in these new, smaller districts, and they could elect a House member to carry their banner in Congress. The need for money in order to mount a campaign would be reduced as well. A larger, more representative, less “politically professional” House may be just the tonic needed to restore popular energy and backing to the federal legislature. Should this constitutional amendment be ratified, it could be put into effect after the decennial census following its adoption. That way, the new system of less partisan redistricting could be combined with the creation of the House’s expansion to 1,000 members. These dual reforms would reinforce one another to transform representation in “the people’s House,” and very likely for the good. CONGRESSIONAL TERM LIMITS–Extreme or Mainstream? Surely, no seasoned political observer would be startled to learn that a dramatic reform such as term limits has both superior and negative consequences. Is there any reasonable, overall conclusion that could help us evaluate the usefulness of a constitutional amendment providing for congressional term limits? First, voter support for term limits serves less as an endorsement of this particular institutional change and more as a barometer of “disgust” with the system as a whole. When voters are fed up, term limits appear to be an attractive way to “throw the bums out” in one fell swoop. I defend this release valve for a democratic people, though I also understand that it can be seen as superfluous, given our frequent elections and extensive natural legislative turnover. Second, clearly neither the proponents nor the opponents of term limits have a corner on the wisdom market. The prophecies of doom and gloom by term limits skeptics have not come to pass in the states-and this is exceptionally significant evidence that bears on my recommendation here. Neither have all the term limiters’ promises of political and governmental salvation materialized, judging by the preliminary research discussed in this section. For me, though, the third reasonable conclusion about term limits is the real determinant. If democracy means anything, we need to take into account the public’s strong predisposition for term limits. Both the actual voting results across the states and the findings in poll after poll demonstrate that the electorate wants this reform. (In chapter 6, a public opinion survey taken specifically for this book will show anew Americans’ intense backing of term limits.) That is not to say that every reform favored by the public ought to be adopted in the new Constitution. Alas, if given the chance, and without proper reflection, Americans might unfairly limit the rights of some unpopular minorities (Muslims right after 9/11, for example) or even cut back on specific liberties contained in the Bill of Rights (a few of the guarantees for those accused of crimes, for instance, since they undoubtedly result in some guilty parties going free). But term limits have no such distasteful cost for minorities or basic liberties. As such, the twenty-first-century Constitutional Convention should defer to superior popular wisdom in this matter. The states have ably served their role as laboratories of American democracy on the topic of term limits, and they have paved the way for the adoption of this reform. Generous limits, following the recent pattern of Louisiana and Nevada (twelve years in each house), might be preferable to the more stringent limits of California and Michigan (six years in the lower house and eight years in the upper). But these specifics would be matters for the convention to ponder and decide. BALANCED BUDGETS, CONTINUITY OF GOVERNMENT, AND MORE! Talk of national debt and balanced budgets brings a MEGO response from most Americans: “My Eyes Glaze Over.” Yet these numbers matter greatly for the future of the nation and especially to our children and grandchildren. We all need to take seriously Jefferson’s wise warning of nearly two centuries’ ago, which was a reiteration of George Washington’s admonition in his farewell address of 1796. Completing his two terms as president, Washington urged us to avert “ungenerously throwing upon posterity the burden which we ourselves ought to bear.” Despite our avowed devotion to the teachings of Washington and Jefferson, we have permitted a giant fiscal problem to build. The new Constitution can start us on the road to solving it. Concern over doomsday scenarios involving the death or incapacitation of legislators and government officials is not new. Continuity of Government (COG) plans have existed in earnest ever since the early 1950s, when the threat of a U.S.-Soviet nuclear war prompted President Harry S. Truman to begin developing an elaborate and secretive infrastructure for continuing government operations even under the most apocalyptic conditions. Truman’s successors advanced his efforts, but some of these programs lapsed following the fall of the Soviet Union. However, the terrorist attacks on foreign soil that occurred in the mid-1990s led President Bill Clinton to sign an executive order requiring all departments and agencies to draw up contingency plans for resuming critical functions in the hours following a warning of impending disaster. President George W. Bush’s administration has also tried to reinvigorate COG programs. The evaluations have been mixed, and progress has been made in some areas, but the progress does not include Congress in the event of a massive calamity. The Continuity of Government Commission, launched as a joint project by the D.C.-based Brookings Institution and the American Enterprise Institute in the fall of 2002, described an all-too-imaginable nightmare in the first pages of its official report on COG and the Congress. There can be no doubt that the changes outlined in this chapter would substantially reshape Congress. The Senate would be a larger, more representative body, with heavily populated states adding seats. The upper legislative chamber would also be a place to harness the experience and talents of former presidents and vice presidents. The House would be renewed as well, mainly by redistricting reform to build in more electoral competition. Following the founders’ original intent, the size of the House would be expanded considerably to draw congressman and constituent closer together. The essence of the legislative branch will be a constant, of course. It will continue to check the executive, persist in representing the magnificent diversity of a continental country, and maintain its place as the undisputed source of democratic law in the Republic. But the reforms proposed here can scrub the sclerosis from the legislative arteries, thus assisting the Congress in carrying out its mandate and renewing its treasured place in the American federal system. Tune in again next week, as we take a look at more ideas from A More Perfect Constitution: 23 Proposals to Revitalize our Constitution and Make America a Fairer Country. For more information on the book, the ideas, an opportunity to offer comments and even a forum for suggesting your 24th idea for change, visit amoreperfectconstitution.com.